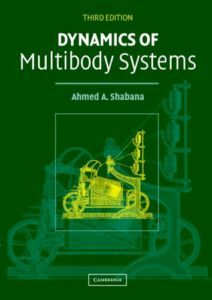 Dynamics of Multibody Systems introduces multibody dynamics, with an emphasis on flexible body dynamics. Many common mechanisms such as automobiles, space structures, robots, and micro machines have mechanical and structural systems that consist of interconnected rigid and deformable components. The dynamics of these large-scale, multibody systems are highly nonlinear, presenting complex problems that in most cases can only be solved with computer-based techniques. The book begins with a review of the basic ideas of kinematics and the dynamics of rigid and deformable bodies before moving on to more advanced topics and computer implementation. This new edition includes important new developments relating to the problem of large deformations and numerical algorithms as applied to flexible multibody systems. The book's wealth of examples and practical applications will be useful to graduate students, researchers, and practicing engineers working on a wide variety of flexible multibody systems.